Included in the new line are the following washing machine outlet boxes in the KahunaTM and Switch Hitter® series, Mini Ice Maker outlet boxes and FireStopTM washing machine and ice maker outlet boxes – all offered with standard valves or hammer arresters. 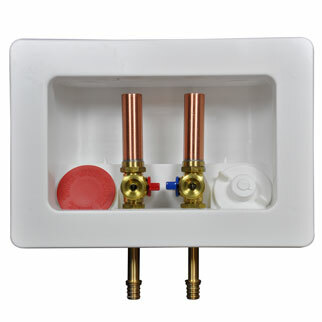 The new water heater connector line will include stainless steel with 3/4” FIP x EVERLOC+, stainless steel with 3/4’’ FIP x EVERLOC+ with 1/4 turn shut valve and copper 3/4″ FIP x EVERLOC+. It has come to our attention that the specific instruction of using a METAL bracket when installing the Fire Rated Pull Stop™ Box may be overlooked. Use of a plastic or non-metal bracket may result in the failure of safety inspection. Please click here review the attached installation instructions to be certain that compliance is met. LSP’s Flex Arrester™ (HammerSTOP™) was awarded the RETAILERS’ CHOICE Award at the National Hardware Show in Las Vegas in May 2016. The Flex Arrester™ (HammerSTOP™) for Dishwasher, Ice Maker and Washing Machine Installation eliminates water hammer with a patented piston action that absorbs unexpected surges in water pressure. The Perfect Seal is Here! As part of our lead free initiative, we have posted a cross-reference list of our lead free products. The list is available here in PDF and Excel formats. Thank you for your continued interest in LSP™ Products Group. Inventors: Do you have a product that you think LSP would be interested in? Inventors: Do you have a product that you think LSP would be interested in? Please click the link below to tell us about it! LSP™ Products Group is excited to introduce the new Pull Stop Box™. 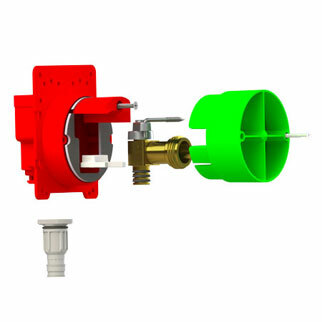 This innovative product is half the size of an Icemaker Outlet Box, eliminates the need for a stub out, has an escutcheon to conceal the valve and has a push-pull knob to control the water flow to the supply line. One Pull Stop Box™ replaces the need for a stub out, mounting bracket, valve and escutcheon. The valve is installed before the system test, which eliminates leaky compression valves. The Pull Stop Box™ also comes with a five-year limited warranty. Simply crimp, sweat or cement the inlet of the valve to the supply line and fasten the box to the wall. The valve is installed during the rough-in stage, eliminating the need to cut off the end of the stub out preventing water leaks on newly installed floors and cabinets. 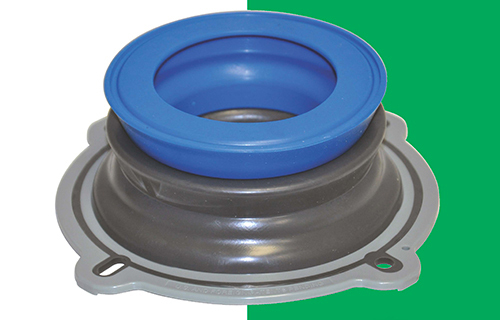 Since the valve is concealed behind the escutcheon, there is no ugly stub out or angle stop protruding from the wall. The simple, intuitive push/pull action on the Pull Stop Box™ starts and stops the flow of water easily. 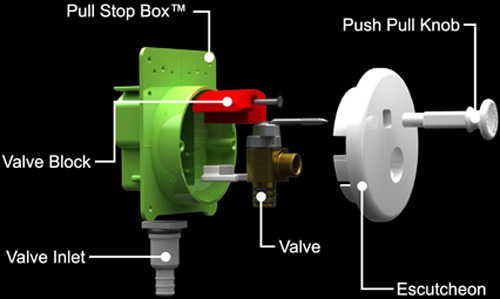 The Pull Stop Box™ is designed with a unique knob that cannot be removed while the valve is in the “ON” position. The Pull Stop Box™ can be mounted in any direction and even share the same stud side-by-side with another Pull Stop Box™. If no stud is positioned for the desired outlet, a Hyco strap can be used.